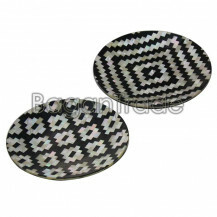 We made this tray with lacquer and inlaid with Oyster (Mother of Pearl) Shell and Paua Shell. We have to wait many days to get a qualify lacquer tray because lacquer production process has many steps. 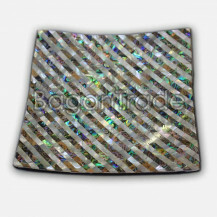 After that we cut Oyster (Mother of Pearl) Shell and Paua Shell as like small rectangular size. And then we inlaid pieces of them on lacquer tray. Nowadays people use and decorate their kitchen with nature products. 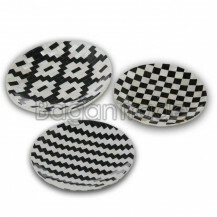 You can use as house ware supply, kitchen accessory and decoration product in Hotels, Offices. If you want to know more details, you can ask by chat box directly. We are warmly welcome to answer for customer inquiry. 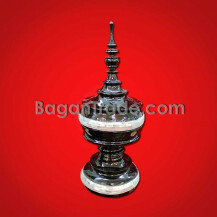 This product created with innovative and modern Handicraft design that is decorative by Antique Style in Bagan. It is embroidery with lacquer pot and is decorated bejwewlled hand-craft. The body of this pot is yellow color background by hand painted. We accept customize size and, priced at depending on size. It is used anywhere in requirement and suitable to give as souvenir. High quality, more size and best price for choice, if you are interested in our products, please feel free to contact us. 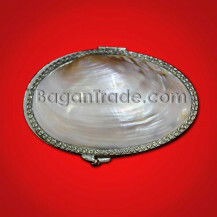 A beautiful handbag/ purse/ wallet/ Mother of Pearl is natural stone and is created with silver frame or fresh water seashell in good condition. It is new in original purse or box. It is handmade of Myanmar and sea shell art product. It is used for ladies purse, hand purse. It is safe easy to clean and durable, long standing. It is easy to store and transport. It is modern design and waterproof. It is fashion handbag or hand purse and ladies purse. If you want to buy , you can order by chat box. 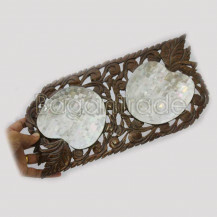 It is fashionable household fruit plates made with combination mother of pearl and fiber. 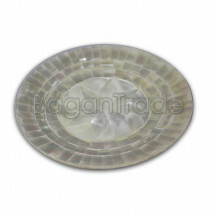 It is used as glass plate, snack plate, jewellery plate and so on. In this product, mother of pearl color is white and fiber color is black. So it is match and good looking. All are natural color and it has three materials. They are wood, fiber and mother of pearl. Both of two sides are covered and glued with fibers and mother pearl shell, there has wooden plate between these two materials. It can be used in hotel, home, restaurant, study, living room and office to decorate or others. We customize sizes and designs according customerâ€™s need. If you want to know more detail, you can join by chat box or email. 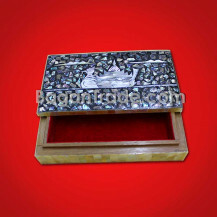 It is the product of jewellery box that is made of mother of pearl, teak wood, trocus and under velvet. It is designed of Kawarate design, Inle design and elephant design on the cover. It is colorful and natural color of handmade. It is made of carved MOP and come in original velvet lined box. It is be nice condition, functional and it would make a lovely gift. A beautiful box for display that is completely functional. If you are interested in this product, you can contact by chat box. The pattern features a star designed center with trocus sea shell on the top of the plate with a smooth. It is made of Myanmar with trocus shell and wooden art. It is natural color and both of two sides are designed by trocus that is glued with sea shell of snails. It can be used in hotel, restaurant, home, for dinner, promotion, decoration, gift and advertising, etc. It is a high quality and round shape. It is also a kind of unique dessert plate. We have various designs for selection. It is safe for food and protect for health. It is a feature of trocus tablewar and it is non toxic, durable. It has many advantages that is most of Myanmar people, there are useful in the hotel/party/at home, it is your good choice. As it is Myanmar handcraft and Myanmar art, some of foreigners and visitors are like and buy it to give as souvenir. Any questions, welcome to contact me by chat box if you are interested. 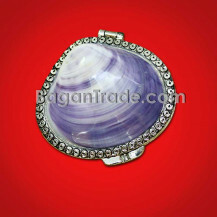 It is new in original purple color purse, wallet, ladies purse or box. It is handmade of Myanmar and sea shell art product. A beautiful handbag/ purse/ wallet/ Mother of Pearl is natural stone and is created with silver frame or fresh water seashell in good condition. It is used for ladies purse, hand purse. It is safe easy to clean and durable, long standing. It is easy to store and transport. It is modern design and waterproof. It is fashion hand wallet or hand purse and ladies purse. If you want to interest, you can buy by chat box. This plate is called sherbet plate. It is sample design and we can create several types of new styles for show and to your order. 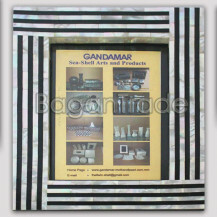 You can see in above product photo, there have three designs; the first design is glued skill square blocks of ranging in each, the second design is decorated black rows of fiber by white rows of MOP, the third design is shaped four patchy square shape in center of fiber, mother of pearl. All of products are constructed wood as a raw material and finished product is fiber and seashell of pearl. They are natural color of white and black. They are featured specialization both of front and back side. We sincerely welcome your contact and inquiry. So, you can send by chat box or email. 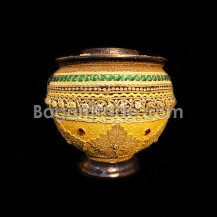 It is the product of Myanmar traditional Buddhist food offering vessel/ Sunn Oake that is made of mother of pearl and Burmese lacquered. It is the most distinctive handicraft offering vessel using a rice bowl. Sunn Oake is a large stupa shaped vessel used for presenting food to a Buddhist monastery. It is the beautifully MOP and lacquered in our tradition. It has three shelves and it is easy to separate yourself. It is the quality is the best. If you are interested in this item, you can join by chat box. 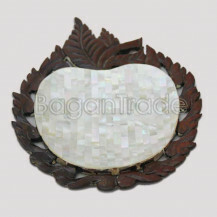 This product name is apple shaped Carved wood Made by Mother of Pearl and produced by Yangon in Myanmar. Our products are manufactured in house as well as traditional home industries in Yangon. All products are handmade from natural and the raw materials are 100% natural. This product style is simple style. The whole products are only handmade. Our product are interested not only Myanmar but also other country (Foreigner). We accept customize size and design, so if you want to know more details or want to order, you can leave message by chat box and mails. 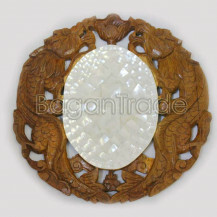 This product name is double apple shaped Carved wood Made by Mother of Pearl and produced by Yangon in Myanmar. Our products are manufactured in house as well as traditional home industries in Yangon. All products are handmade from natural and the raw materials are 100% natural. This product style is simple style. The whole products are only handmade. Our product are interested not only Myanmar but also other country (Foreigner). We accept customize size and design, so if you want to know more details or want to order, you can leave message by chat box and mails. This product name is teak arabesque wall made by trochus and produced by Yangon in Myanmar. Our product are interested not only Myanmar but also other country (Foreigner). This product style is modern style and design is penetrated in detail whole product. The whole products are only handmade and the raw of materials are 100% natural. This product color is white and made only trochus (Oyster). We accept customize size and design, so if you want to know more details or want to order, you can leave message by chat box and mails. 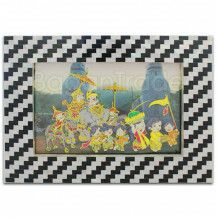 In this simplistically, classic design frame decorated black fiber and white Mother of pearl with line by line. It is one of nature product from Myanmar. This photo frame design is landscape and the frame size is 9"x 7" and inner photo size is 5"x7". Firstly we made wooden frame and then inlayed pieces of black fiber and Oyster (Mother of Pearl) line up on wooden frame with line by line to be attractive and beautiful. Your living room/ bed room table is will be perfect by putting this photo frame. You can use as photo frame on your living room table. If you want to know more details, you feel free to contact us by chat box. 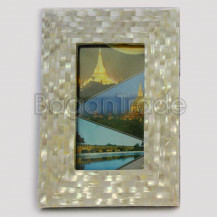 The beautifully Photo Frame is made by mother of pearl. All of our products are manufactured in home as well as traditional home industry in Myanmar. The color is black and white. Black color is fiber and the white color is mother of pearl. You are using this photo frame which your beautiful photo or family photo were put and stand in living room. This frame design is simple and beautiful so you can give a birthday present or souvenir. If you want to order design, we can get it and do for you. If you want to order or want to know, you can leave message by chat box or mail. Myanmar money coins were using the ancient of Kingâ€™s time. The coconut shell of back ground color is black and join with gold color. And then the money coins are inlaid upon the gold color. All of colors are using acrylic painting. Acrylic is the long life of hundred years so you can keep many years without damage. The handle is made by wood. The bottom is made a piece of coconut shell. This product material is using the Myanmar money coins so that it can be attractive the Foreigners. All of using coins are 50 cent. This product is limited quantity. It is using to keep your memorable things and other things. The color is customized. If you want to know more detail, you can leave message by chat box or e-mail. Myanmar 's largest Handicrafts marketplace to buy handicrafts, handmade crafts, handmade gifts etc. 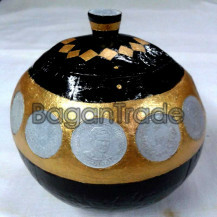 You can directly deal with Myanmar Handicrafts Suppliers via BaganTrade platform. copyright © 2019 www.bagantrade.com. All right reserved.